B2B Businesses Hang Out on LinkedIn, Not Instagram. Take a look at this example from Amazon Business’s LinkedIn page. The company shared this video showcasing how small businesses are using its credentialing program to gain exposure and include a call to action, so other businesses can do the same. To cast an even wider net, take advantage of LinkedIn ads. As a B2B business, you want to spend your marketing dollars where your potential clients are, and that’s on LinkedIn rather than Instagram or Facebook. In fact, according to LinkedIn, 92 percent of B2B marketers leverage LinkedIn over all other social platforms. 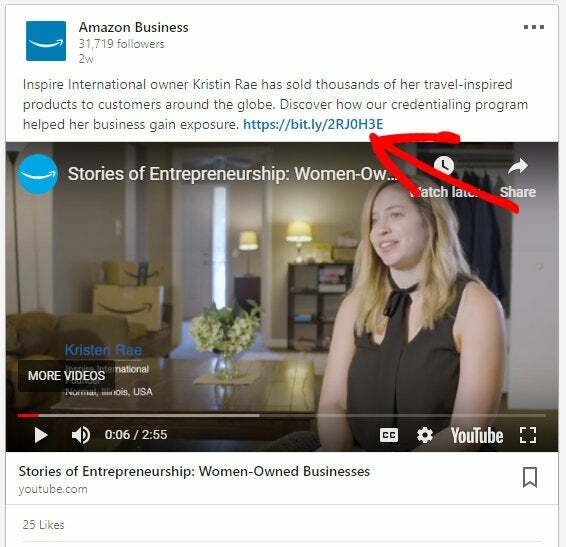 With LinkedIn Sponsored Content and LinkedIn Video ads, you can take your regular LinkedIn posts and videos and push them to even more businesses that might be interested in your products/services. 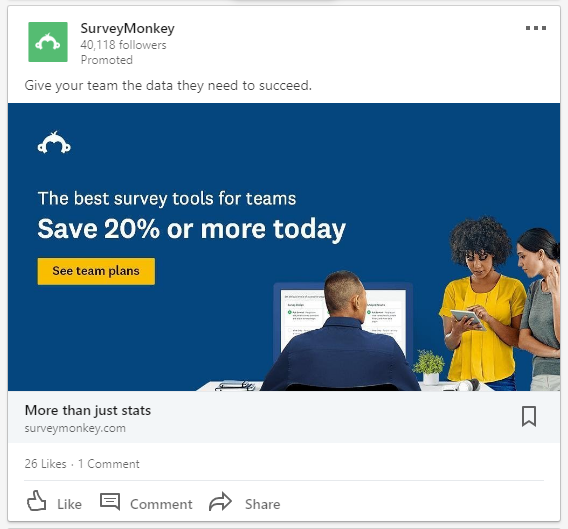 These ads can be displayed right in the LinkedIn feed, so they look more natural, as illustrated by the example below from SurveyMonkey.